Hell, I don`t think I would touch it till you found out it`s make and history, it could be worth a lot as is but if you start to clean it up that could bugger the value. 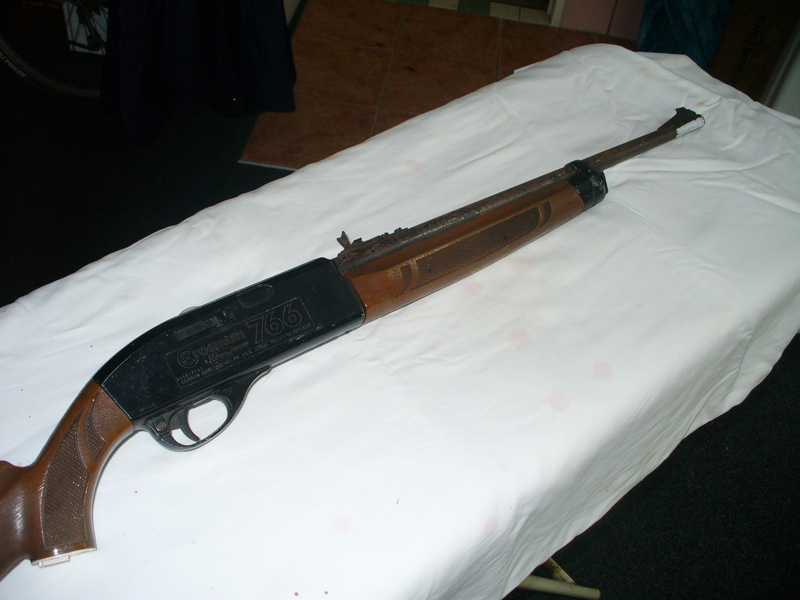 I`ve got one to clean up as well, Crosman 766. 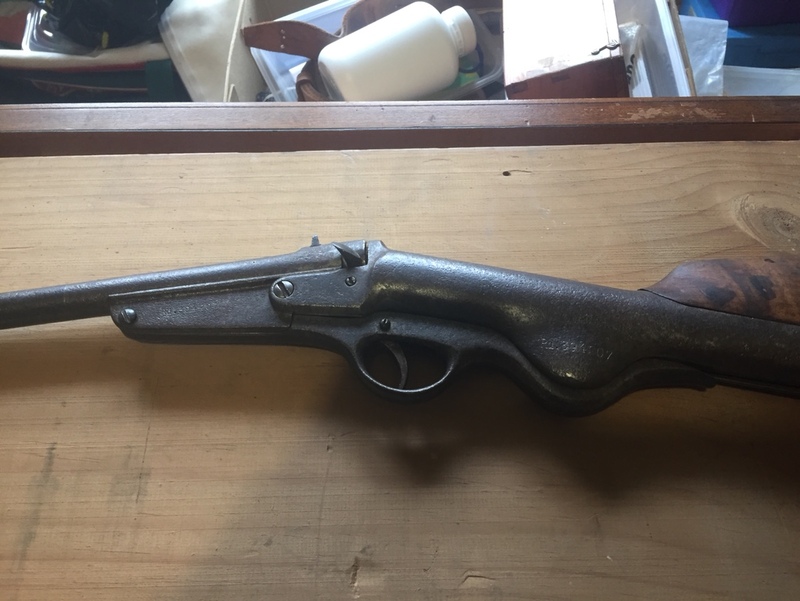 It looks like a very old/early air rifle, like a Diana Gem, but the Gems don't have the piston cylinder going all the way to the toe of the gun. It is actually a bullpup air rifle. Agree don't rush into cleaning it up. I did a search on Rd. 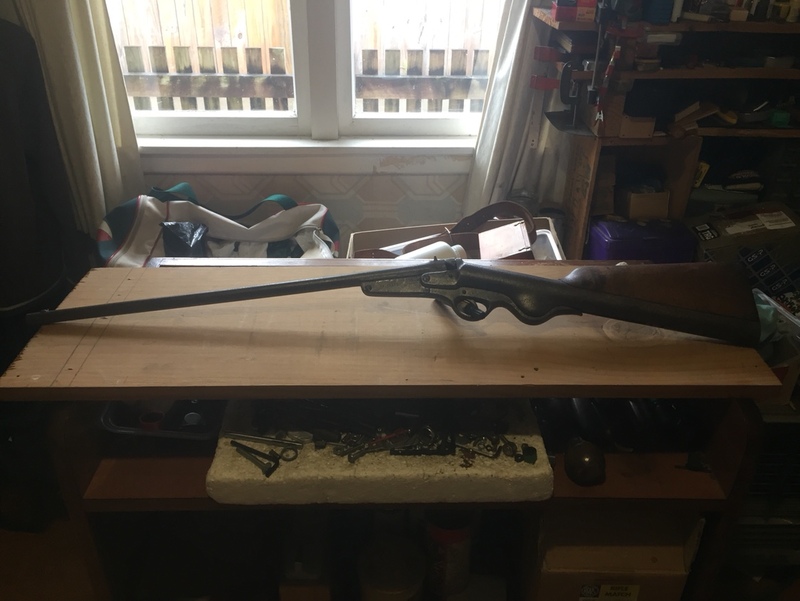 294307 and came up with the answer, it is a Bonehill Britannia air rifle. Made by C.G. Bonehill, Belmont Works, Belmont Row, Birmingham. Cox’s Patent (Frederick Stanley Cox). BRITANNIA TRADEMARK on left side. Break action, with trigger guard (including trigger mechanism) - acts as a lever to compress the mainspring). Two power settings for spring, move screw to adjust mainspring tension. Walnut stock. Adjustable trigger. Mainspring not under tension when uncocked. Matching numbers (2771) on all parts. 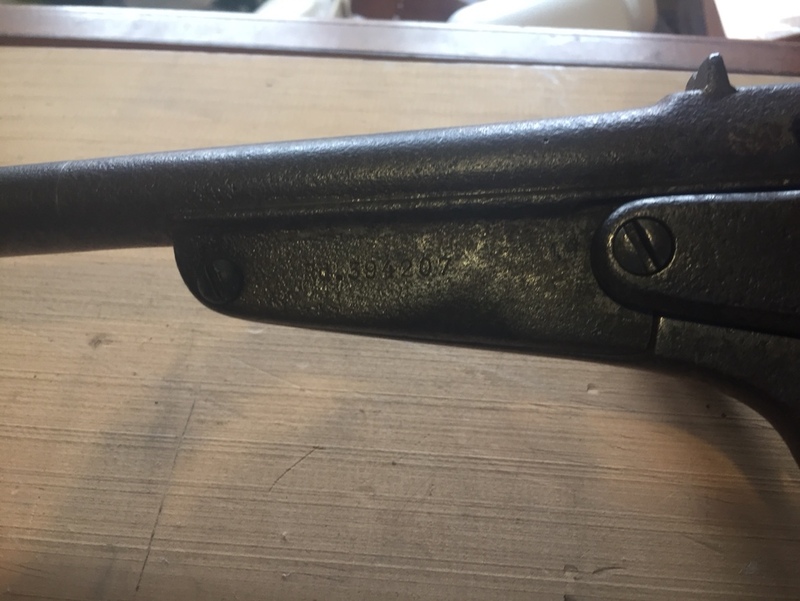 PATENT stamped on left side of barrel latch. RD 394207 stamped on left side of trigger guard / cocking lever. 'See-saw' rearsight set in dovetail on barrel with small flip-up aperture. Original barleycorn foresight. Bayonet fitting air chamber plug at rear of stock, held in place by small screw. New piston washer, joint washer and mainspring. Surprisingly accurate for its age. 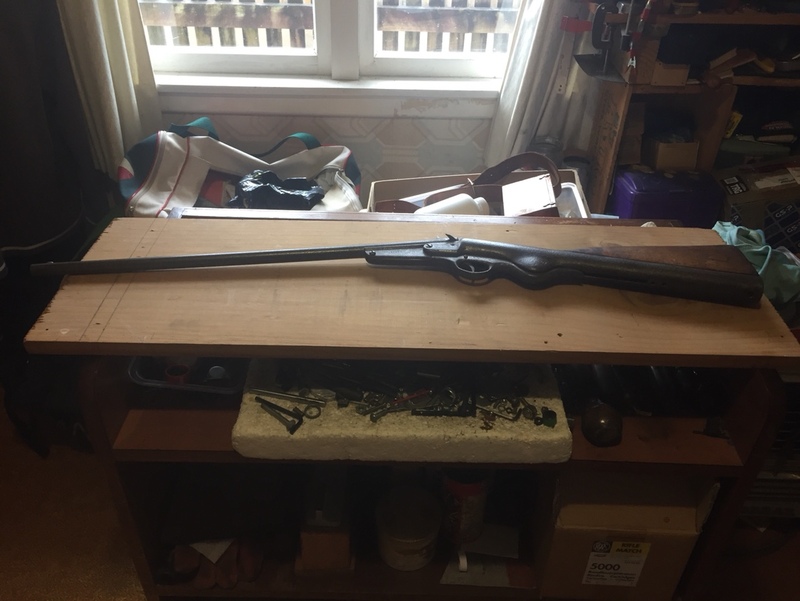 Here is a page dedicated to the Bonehill Britannia, of which only some 4000 were made, and considered the Rolls Royce of air rifles at the time, basically an improved Diana Gem. Interestingly, available in .177 or .25, which is yours? Help identifying tracks on west Auckland beach.